You know the feeling. It’s mid afternoon and you’re eyes start to get a bit weary and your concentration plummets and you begin a mental battle with yourself. And so it goes on until you cave and then beat yourself up for the remaining couple of hours. As I always tell my clients, it’s not your fault. As much as you might be telling yourself that you’re mentally weak or you don’t have the willpower of someone else, that’s just not the full story. I know this isn’t what you wanted to hear, but sugar is proven to be addictive by stimulating parts of the brain associated with rewards. 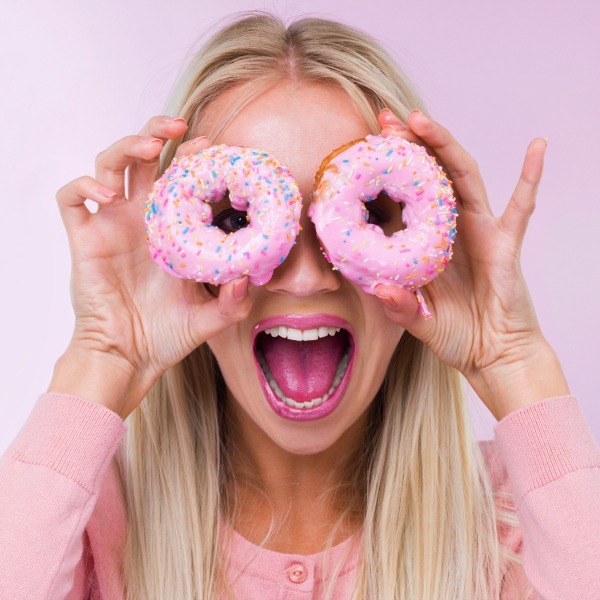 There is a good chance your diet has too much of it (even the ‘healthy’ sugars like maple syrup, honey or coconut sugar – these are all sugars). We’ve been taught how addictive drugs, alcohol and smoking can be, yet not sugar. If you were to attempt to stop taking an addictive drug, you would likely not just decrease the quantity, you’d go cold turkey, knowing that it might provide some repercussions but that it’s the most effective way to do it. In my opinion, sugar is the same. I can say that eating it makes you want more and will make stopping it next to impossible. This is not to say you should be carb phobic – simply mindful. A great exercise, for a day or two, is to track your grams of carb intake in My Fitness Pal. Everybody is different in their required intake (and that’s something I’d have to chat with you individually on), but often times you underestimate just what you’re getting in a day. For a general guideline, check out this article on proper portions. ’Cortisol, one of your main stress hormones, might also be at the root of your cravings as it is shown to increase your appetite. It’s not 100% understood, but it’s thought that sugary and fatty foods provide a temporary calming effect on the brain. Not only does cortisol lead to cravings, but it increases insulin levels which is a direct link to why your pants don’t fit. In this day and age, I see that more and more of my clients have cortisol imbalances. Either it’s too high (you’re wired yet tired), or too low (you can’t wake up). Luckily there is testing for this you can do via a nutritionist. Feel free to get in touch with me if you’re interested in this. Are you sleeping enough? Here’s some motivation to sleep more: sleeping less than 7 hours a night, even just for one night, can increase the hormone ghrelin. Ghrelin is one of your hunger hormones that tells your body you are hungry (even if you might not be). Now that you’ve read this you might notice a difference on days you haven’t slept as well? Lastly, it could be as simple as nutrient deficiencies. Two to think about are Omega 3s and Vitamin D. One study showed that Vitamin D supplementation of 4,000 iU daily in women helped improve insulin resistance, a condition where your cells don’t properly respond to insulin, leading to weight gain in the belly area and can lead to diabetes. Omega 3s also help with insulin control and inflammation.